“The North-South study phase is wrapping up! Please join us for our third series of public meetings to see what analysis has been done and to provide feedback. We’ll be analyzing four remaining alternatives in detail. And thank you to everyone who came to our previous series of public meetings! We appreciate your time and feedback. Summaries from Public Meeting Series 1 and 2 are posted online. 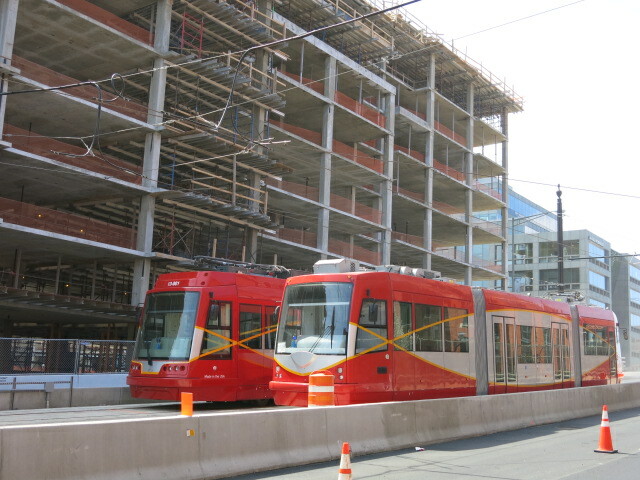 The District Department of Transportation (DDOT) is continuing to conduct a planning study to examine opportunities for public transportation improvements in the North-South corridor from the Takoma/Silver Spring area to the Buzzard Point/Southwest area. South: Downtown to the SW Waterfront/Buzzard Point area. Over the next year, DDOT will be conducting a Phase 1: Planning study, in collaboration with the community, area businesses, government agencies, and other stakeholders to identify and analyze alternatives to improve transit service and capacity in the corridor. At the end of the study, DDOT will identify alternatives for further evaluation in the Phase 2: Environmental review process.